The 1.6-Liter Duratec TI-VCT engine differs from the original 1.6 Duratec by the next features: the engine is equipped with variable valve timing system, the new intake manifold, other pistons, the new software. The history of the Zetec SE series (later it was renamed to Duratec) started in 1995. This engine was designed in partnership with Japanese company Yamaha. The engine is very light. The cylinder block is aluminum, and on top of it, there is the 16-valve two-camshaft aluminum head. The engine has a timing belt (not a chain), don't forget to replace old one every 100,000 miles. As well as to adjust backlash of valves, the engine hasn't hydraulic tappets. The 1.6 TI VCT is pretty reliable and more fun to drive instead of straightforward 1.6 liters Duratec. 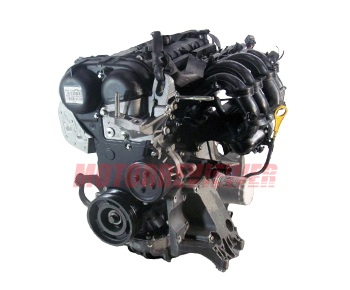 But for fast driving lovers, there is a more realistic choice of engine - the Duratec HE 2.0 liter. With regards to knocks, noises, vibrations, and heating, these problems are described for the 1.4-liter engine here and utterly relevant to the 1.6-liter Duratec TI-VCT engine with 115 hp output.